Dimensions 2.50 by 7.75 by 9.25 in. Amazon.com description: Product Description: The world has changed radically since the first edition of this book was published in 2001. Spammers, virus writers, phishermen, money launderers, and spies now trade busily with each other in a lively online criminal economy and as they specialize, they get better. 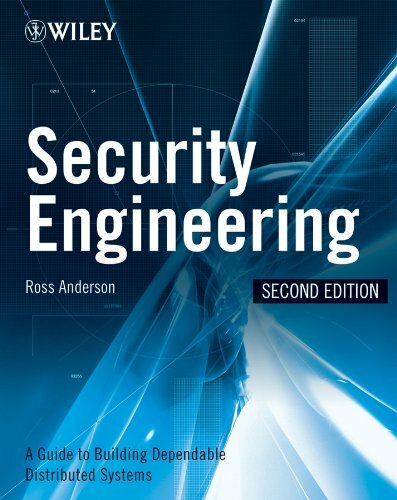 In this indispensable, fully updated guide, Ross Anderson reveals how to build systems that stay dependable whether faced with error or malice. Here's straight talk on critical topics such as technical engineering basics, types of attack, specialized protection mechanisms, security psychology, policy, and more. About: The world has changed radically since the first edition of this book was published in 2001. About: The first quick reference guide to the do's and don'ts of creating high quality security systems.